If you are thinking of a contractor, it is time for you to take your probe to a new level checking out records associated with the company. Your first stop has to be the Better Business Bureau to (BBB) to find out if there are any negative feedbacks against the builder. You can also pay a small fee to get a report from ContractorCheck, which includes an overall builder rating and lots of information about the business operations of the contractor. Finally, you have to consider your state’s laws on pool construction and ensure the builder is properly certified. If a builder is willing to provide you with a long list of references that is a great sign. The more pleased customers a contractor can show the less likely it is that they are cherry picked or staged. If there are many references, you most likely will not look at all of them; however, you need to randomly choose some to call (do not just contact the first three but choose from different sections of the list). If your list is small, that does not necessarily disqualify the builder; however, you may want to ask a few probing investigating questions to ensure the references are trustworthy. Here are some things you can ask to: When did the builder do work for you? If the references are mainly older, that mght signify cherry picking. Which type of swimming pool did the builder install? If you are installing a fiberglass swimming pool, you will be especially concerned about what the reference needs to say if he also had a fiberglass swimming pool installed. Was the project completed without delay, and was payment for work done requested after the project was completed? Were any surprises encountered? Were the contractors polite and understanding of your requirements while onsite? Do you know anybody in your neighborhood who has an inground swimming pool? If yes, inquire further about their experience; many swimming pool owners are more than ready to speak about it. They might be able to lead you toward, or away from, a specific builder. If you reside in a larger metropolis, you might also be able to get recommendations from consumer sites and internet forums. Be extremely careful of these; however, since they are easily manipulated. 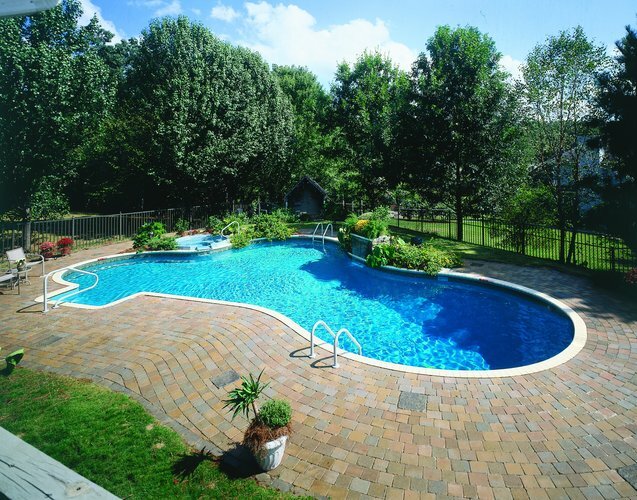 Before you hire a pool contractor, make sure you stop by the contractor’s place of business. How a contractor runs its office and carries out routine everyday business is usually helpful of how they operate on the job. And if the builder does not have an office? Well, that is another red flag.